An epic Holmes novels that not only tells the story of Jack the Ripper, but also encompasses into its timeline canonical adventures such as The Hound of the Baskervilles. An ambitious and very well done Holmes pastiche. Grotesque murders are being committed on the streets of Whitechapel. Sherlock Holmes comes to believe the murders are the skillful work of one man, a man who earns the gruesome epithet of Jack the Ripper. 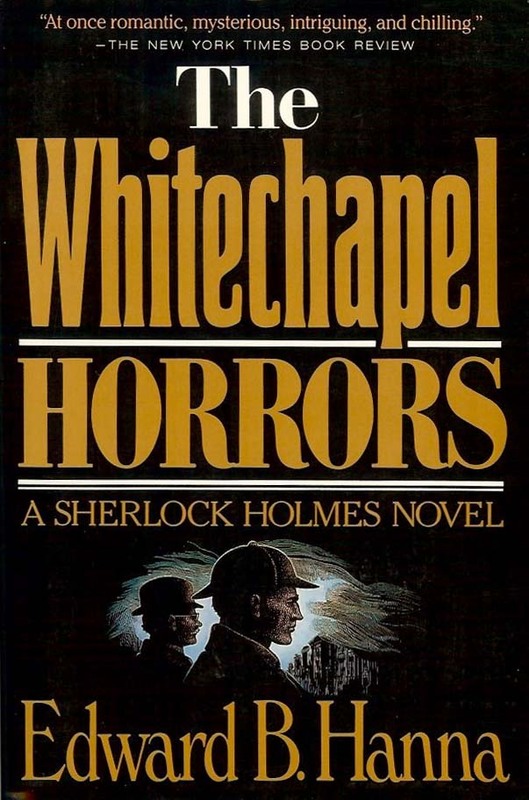 As the investigation proceeds, Holmes realizes that the true identity of the Ripper puts much more at stake than merely catching a killer––the most fundamental British institutions may very well be threatened. He is faced with the most difficult decision he has ever made, a crisis of conscience that shakes him to his very core. Holmes must decide where his allegiance truly lies––with his code of honor as a detective and champion of justice, or with his strong feelings of patriotism and love of England. The Whitechapel Horror is vintage Holmes, a ripping good mystery worthy of the great detective and his eminent creator.